Look at this face. How can you Not love this face? How can you not chuckle? Yes, I know it’s much easier to laugh and love a cartoon character, because frankly being the recipient of someone’s anger can be down right scary. But, in all seriousness, we’ve all been there before whether we outwardly expressed our anger or internalized it. Your boundaries were once crossed leaving you red-faced complete with a dialogue you didn’t know existed much less wanted to admit. You, at some point felt the pains of being treated unfairly or seeing someone being treated unfairly, betrayed, disrespected or simply cut-off in traffic. 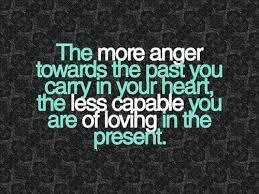 Anger gets a bad wrap because many of us stay in anger much longer than its conducive for our health and relationships. If you look at the news, you will see that it’s riddled with anger and strife. We have no deficit of anger in this world, unfortunately. 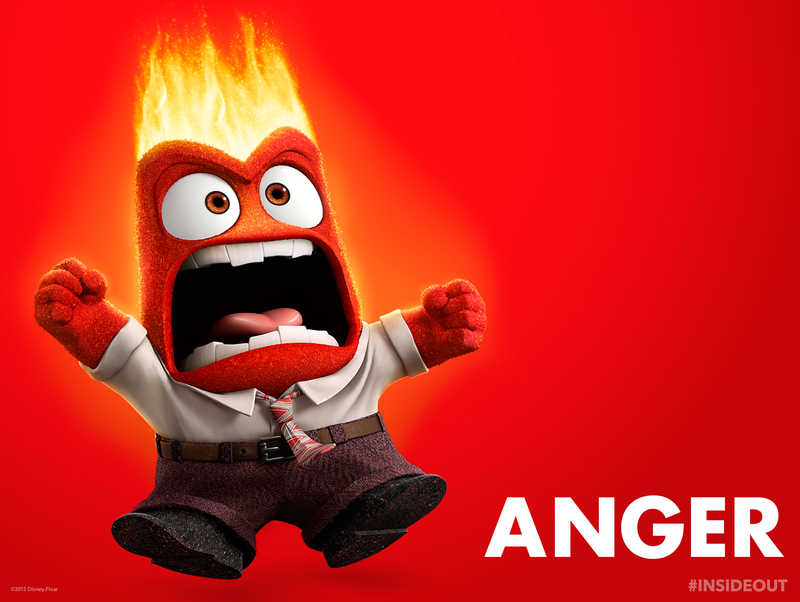 Anger can wreak havoc on your body, your relationships and your life. Anger can also protect you, keep you safe and propel you to make a change. 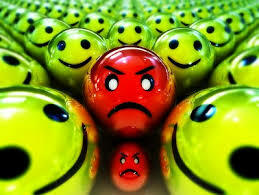 Whatever your beliefs are about anger, the emotion itself has positive and not so positive attributes. The light and the darkness of balance. Anger is often used as a shield from being vulnerable. Some people confuse anger with power. I’ve often seen individuals that were physically abused, disciplined by being repeatedly spanked (beaten), or experienced the rage (overpowering) of an adult (parent/caregiver) as a child, use anger as power when adults. When a child endures repeated abuse, physical ‘discipline,’ or rage, he/she is powerless to change or stop the experience. The child must endure just to survive. He/She may make a subconscious vow to themselves that they will never be powerless as an adult- hence the use of anger to overpower others and feel powerful. Anger keeps others at a distance. Anger, if held too long can keep you from creating intimacy in your relationships. You may long to be intimate (emotionally), but to do so would mean you would have to disarm yourself and let go of your shield of anger. People relating to the person with chronic anger (long-held resentments) find it difficult to be vulnerable because it is like hugging a cactus. You can only go so far until you are repelled or pushed away. But, if you dig a little, you’ll find what’s underneath the anger is sadness, sorrow and grief. Because of the sadness and sorrow, individuals may cling to their anger, they may become addicted to the feeling and claim anger as part of their identity. They wonder “Who would I be without this anger/resentment?’ Or they think, “I’m scared of losing control,” because the anger and sorrow/grief feel so overwhelming as if being washed over by a tidal wave. For all you spiritual people out there that believe, ‘its not spiritual to be angry,’ some of the most self defined spiritual people who I have come across as clients, in yoga class, sound therapy, at church etc., harbor some of the most exquisite anger. Simply because they deny it. You’re either dead or a sociopath if you don’t feel emotions. If you deny one emotion you deny them all. “What? !” I didn’t quite understand that, because I fit in the above category-denial. Not until I walked through my anger, acknowledged my anger, sat with it, felt it, to feel my grief and sorrow was I able to really open my heart. This still is a practice for me. I drive just like you do. And I’m human. The burgeoning field of psychoneuroimmunology studied emotions (rage, fear) in relation to disease. They found a correlation of anger to heart attacks, high blood pressure in men and breast cancer in women. 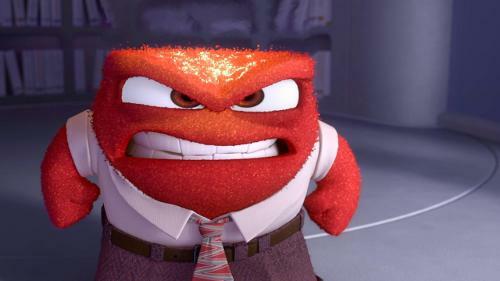 If we don’t express our anger, then it fester’s in our bodies eating away at our tissues. It is self-imposed stress on the body and mind. When a person experiences anger, circulation (oxygen and blood) is cut off from traveling to the cortex part of the brain. The cortex part of the brain is responsible for logical, rational thinking and the ability to see long-term consequences. Therefore, when a person becomes angry, they really aren’t thinking; they’re not in their right mind. However, with any difficult subject, it’s not all doom and gloom and never one-sided. Here’s how anger is positive for us: Anger helps you fight for what we want, it helps you stand up for yourself when you’ve felt slighted and claim what you will and won’t tolerate, and anger can propel you to change if you get angry at an injustice to someone or self and you want to change the situation. So, like this little monster above, Anger isn’t all bad, and really is just one big scared softie underneath.